When we took our city break to Mexico City, we didn’t have time to get any of the beaches along the Caribbean coastline. After a full round of exciting city activities though, I have promised my son that we will return to Mexico for some pool and beach down time. Having been to Cancun a couple of times, I would like to try someplace new. 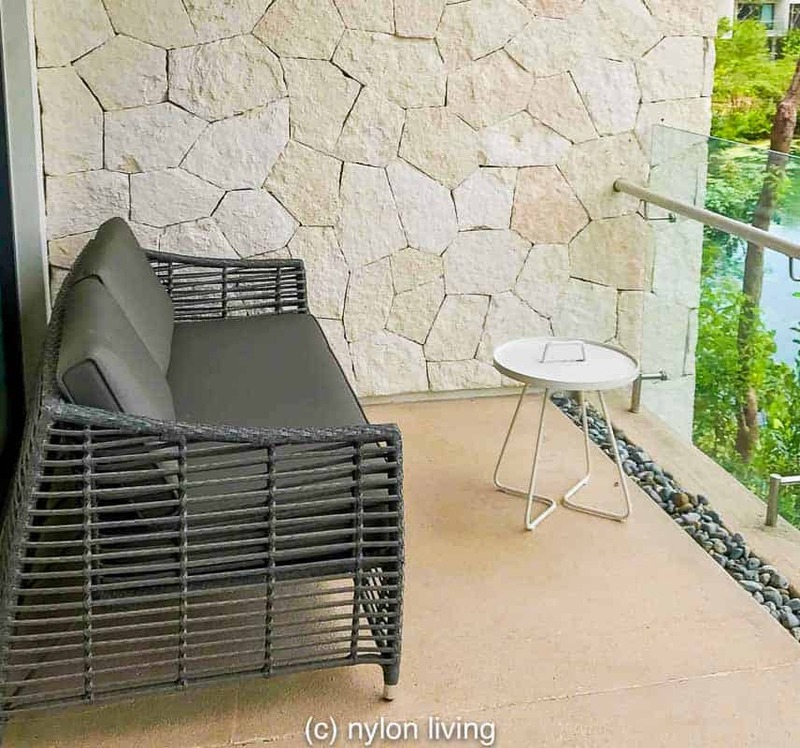 My friend and occasional contributor, Dianna, suggested the Hyatt Andaz Mayakoba Resort Rivera Maya (the area south of Cancun near Playa del Carmen). The Hyatt Mayakoba opened in this resort complex at the end of 2016. 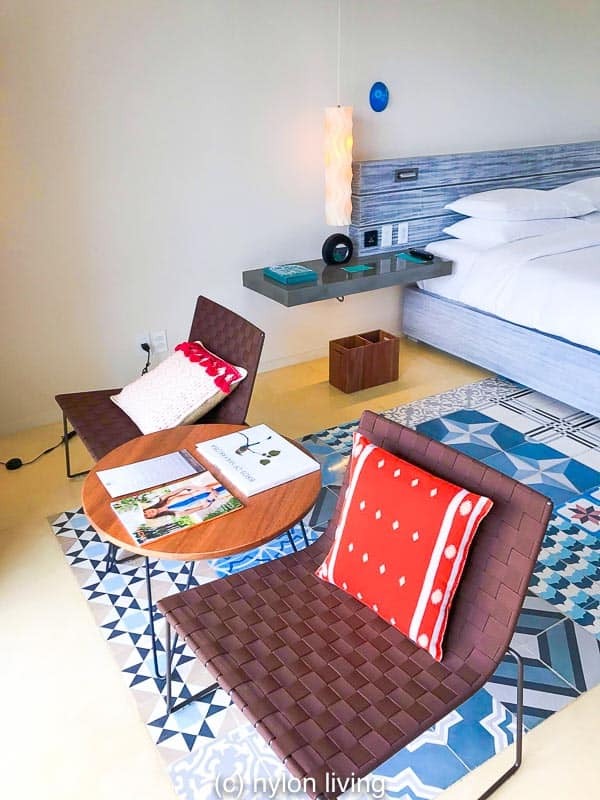 Her Hotel Andaz Mayokaba review has totally convinced me that this resort should be our next luxury beach vacation. 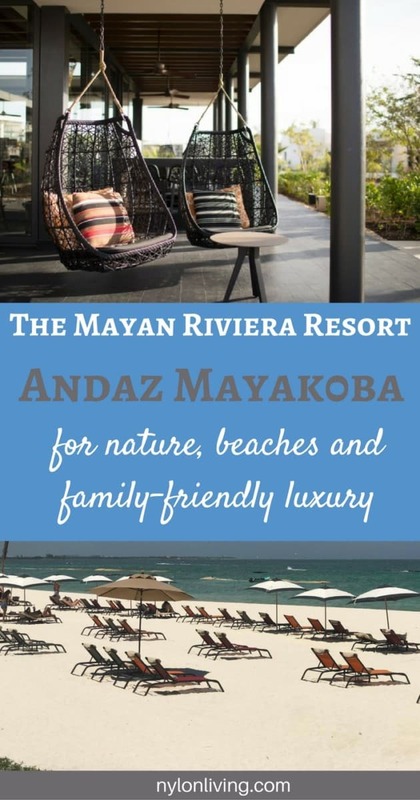 The Andaz Mayakoba has nature, beaches and family-friendly luxury on the Mayan Riviera. The Mayakoba Resort complex is an upscale development 75 miles south of Cancun near the Playa del Carmen. 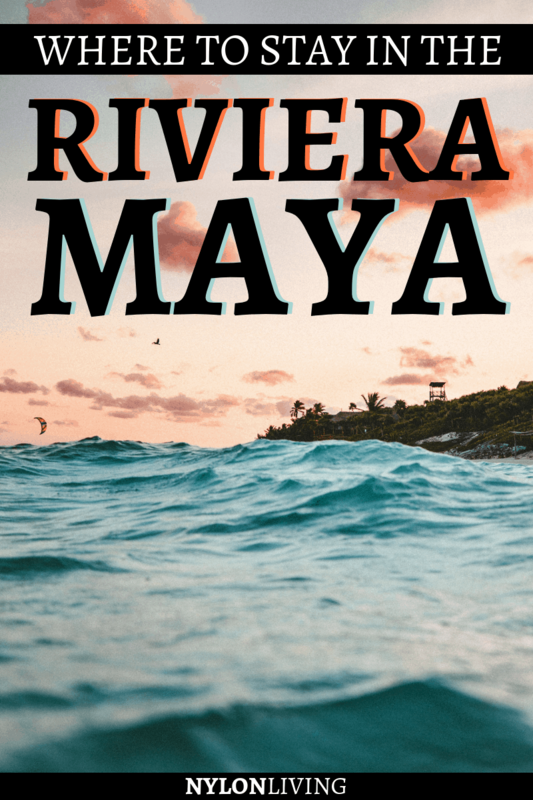 Having started off as a sleeping fishing village, in the last twenty years Playa del Carmen has had explosive growth. 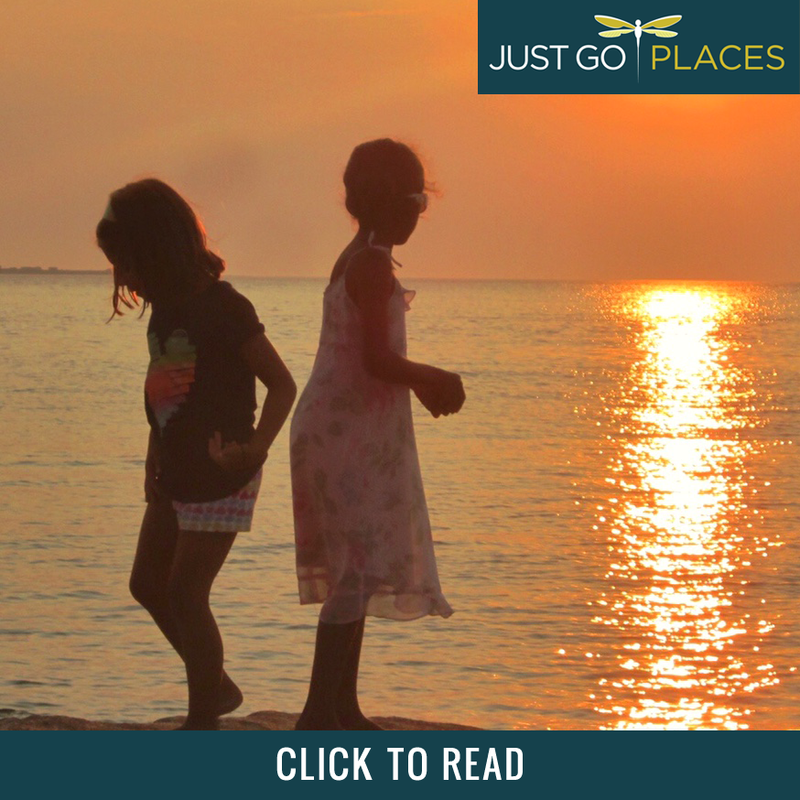 Playa del Carmen is a hip and trendy resort town that caters to families as well as young clubbers. The young major party scene is still Cancun though. Playa del Carmen also has got a recreation of the Xochimilco Gardens that are in Mexico City (named Xoximilco) as well as the Xcaret ecotourism theme park. Mayakoba has 4 luxury hotels in the resort complex, the Rosewood, the Banyan Tree, the Fairmont and the Hyatt Andaz. Except for the Andaz, the other hotels have luxury privately-owned residences as well. Part of the community feel, there is a Mexican village square called El Pueblito with restaurants, shops and a chapel. 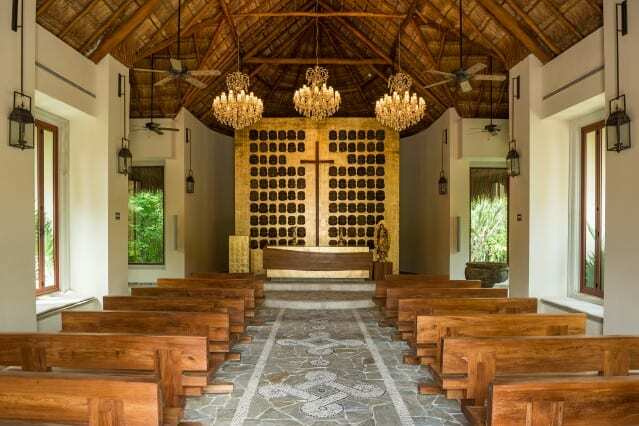 You really can’t have a Mexican village without a chapel and weddings on the beach are big business in this part of the world. Win/win. 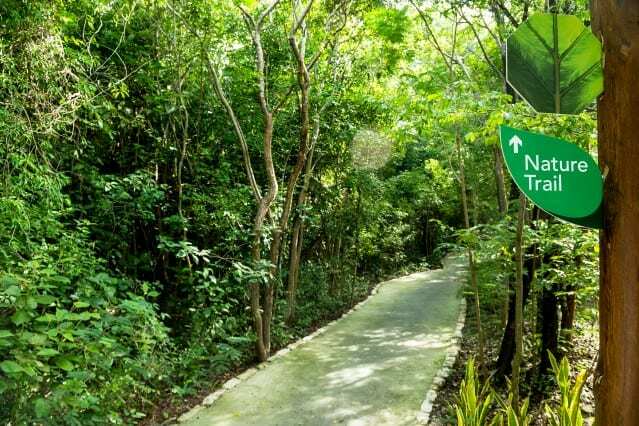 The resort is landscaped with 4 miles of nature trail if you feel like walking or cycling in the heat. Alternatively, you can hop on the little ferry service that connects the resort through its lagoons. 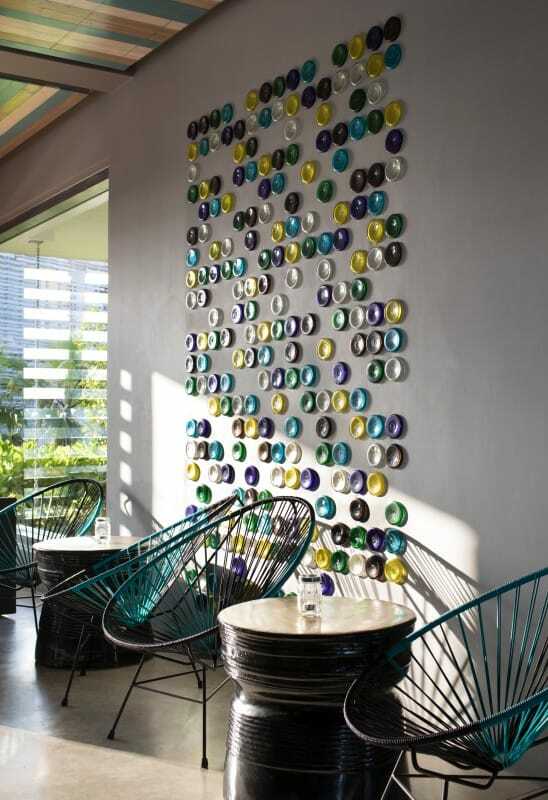 Like the other Andaz hotels, the Andaz Playa del Carmen has a modern style which incorporates local touches. The color scheme, a blend of calm neutrals and blues influenced by nature, is saved from banality by occasional pops of color. 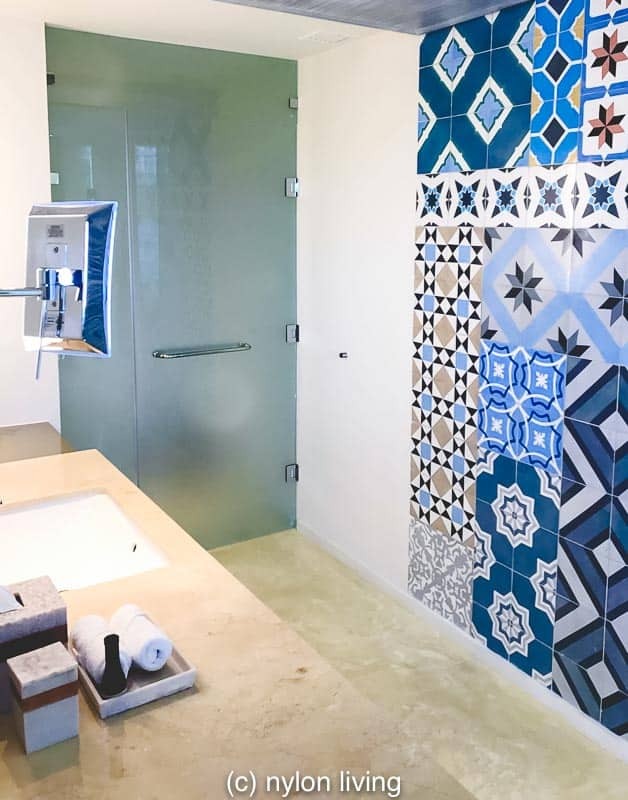 The walls are decorated with art and tiles made by local artisans, including a famous local street artist. 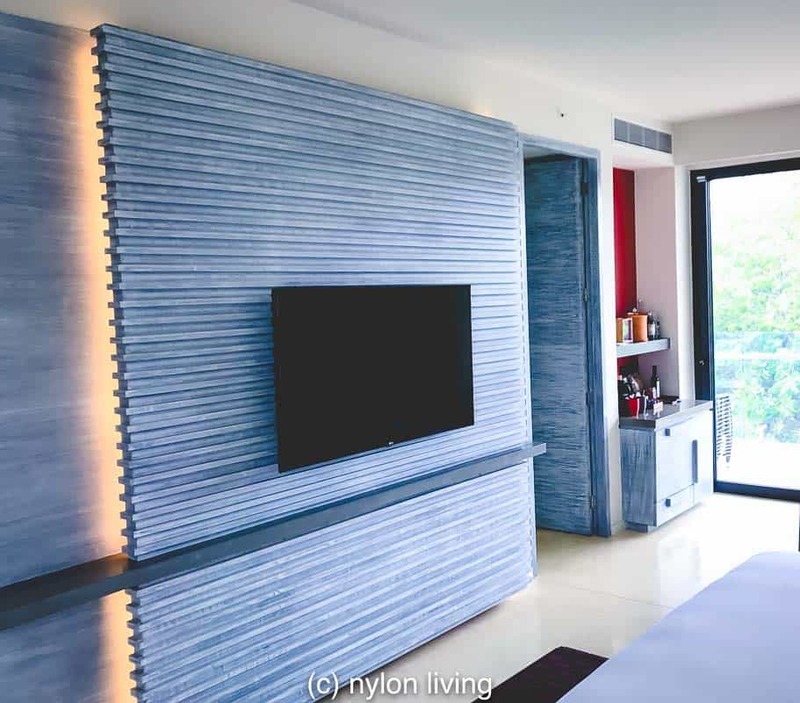 These individual touches give the Andaz Playa del Carmen a boutique feel that makes you forget it is part of the larger Hyatt brand. Although the hotel has 215 rooms and suites, the spaciousness of the resort means it does not feel crowded. Not only do people disperse on the Hyatt Andaz property but they also filter into the larger Mayakoba resort and Playa del Carmen itself. The open-plan rooms are flooded with light and spacious. The contents of the mini-bar is complimentary (something my kids always love). Did you notice that one bedside lamp is hung from the ceiling and the other is a table top? A calm colour palette saved from being a snoozefest by the judicious use of accessories with texture and pattern. 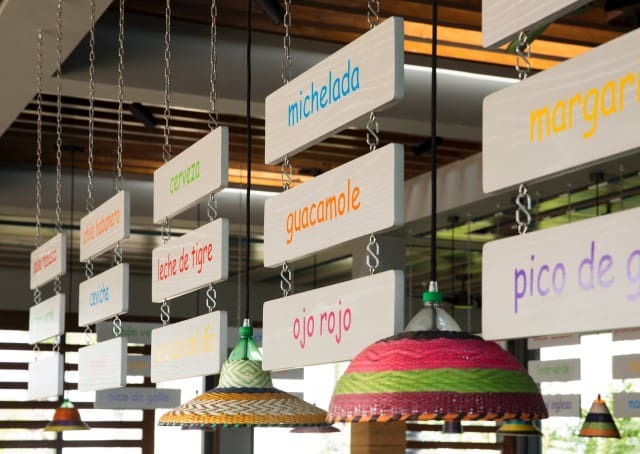 There is so much to do at the Hotel Andaz Mayakoba that families will not need to venture further afield if they so wish. There’s a daily list of activities available at the resort as well as the usual Caribbean watersport options. There is a kids club available as well. And, what’s most important to my children’s heart? Free wi-fi. Each room comes with an outdoor seating area. 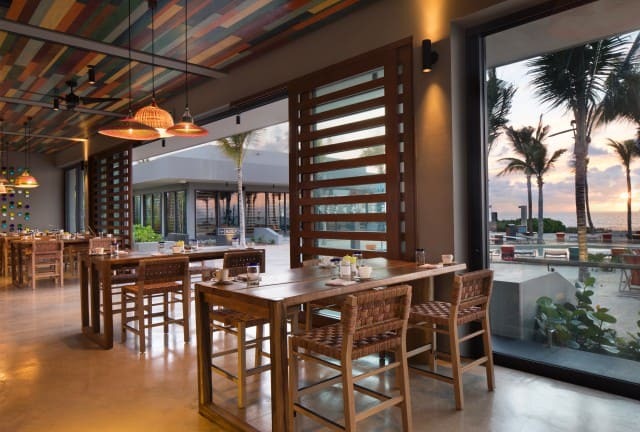 The Hotel Andaz Mayakaba has 4 restaurants from which to choose as well as room service. The room service offer a choice of standard international foods such as salads and burgers. There is one fancy restaurant serving Latin American cuisine open only for dinner and two beachside places serving up small plates and beer/tequila. 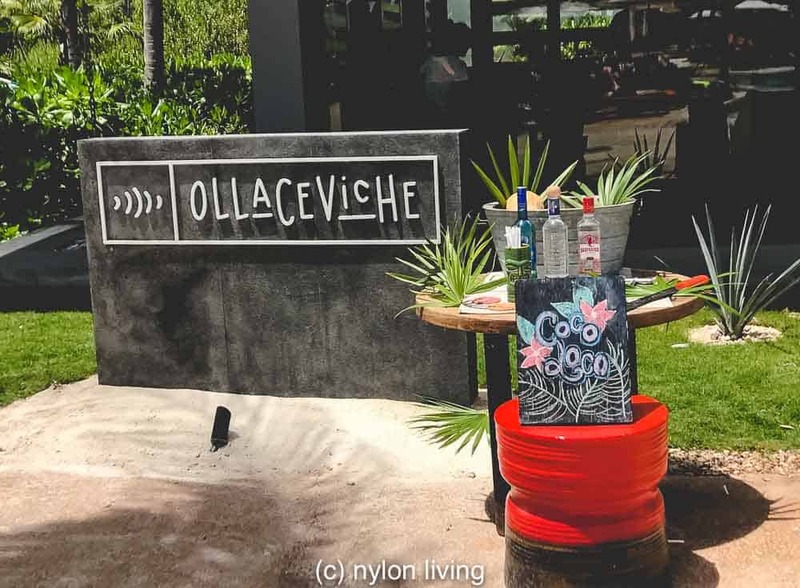 OllaCeviche is one of the beachside restaurants. The main restaurant which serves the breakfast buffet is also open for lunch and dinner. Alternatively, there are restaurant options in the other hotels of the Mayakoba complex as well as El Pueblito. There are two outdoor pools with plenty of loungers and wait staff at the ready to bring you a refreshing drink. The hotel has access to a Greg Norman-designed golf club and the Mayakoba tennis centre. There is also a spa facility on site which emphasises Mayan rituals (presumably without the animal sacrificing). Diana went to the hotel next door, The Banyan Tree, because she is a fan of their spas. Mayakoba has a mile of private beachfront for its visitors. The sand was the usual soft powder but Dianna thought the vast amounts of seaweed was off-putting. I know my kids hate getting tangled in seaweed at the beach too. The Hyatt Mayakoba is easily reached from Cancun’s international airport. 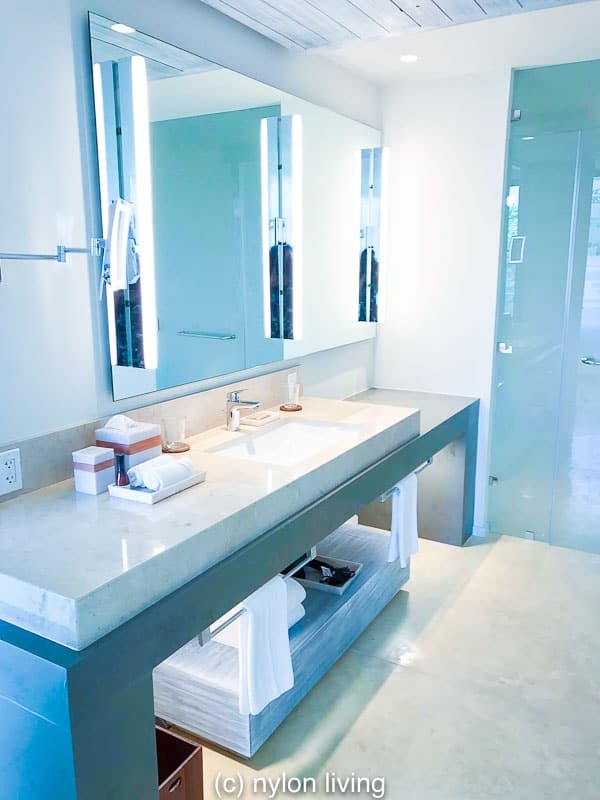 Dianna gave us such a great review of this Andaz hotel that we want to visit it ourselves. 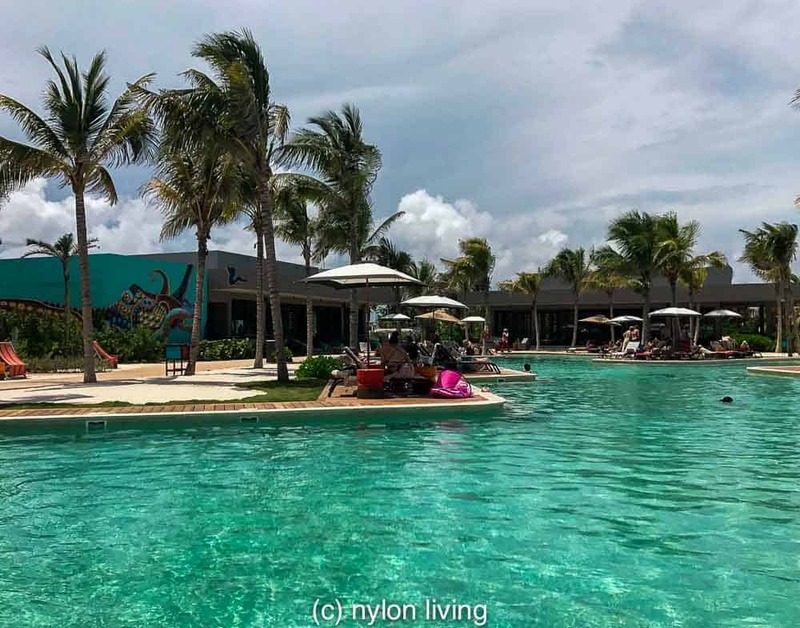 Having nosed around the other 3 luxury hotel options at the Mayakoba resort, she felt the Hyatt Andaz was the best value for money as well. 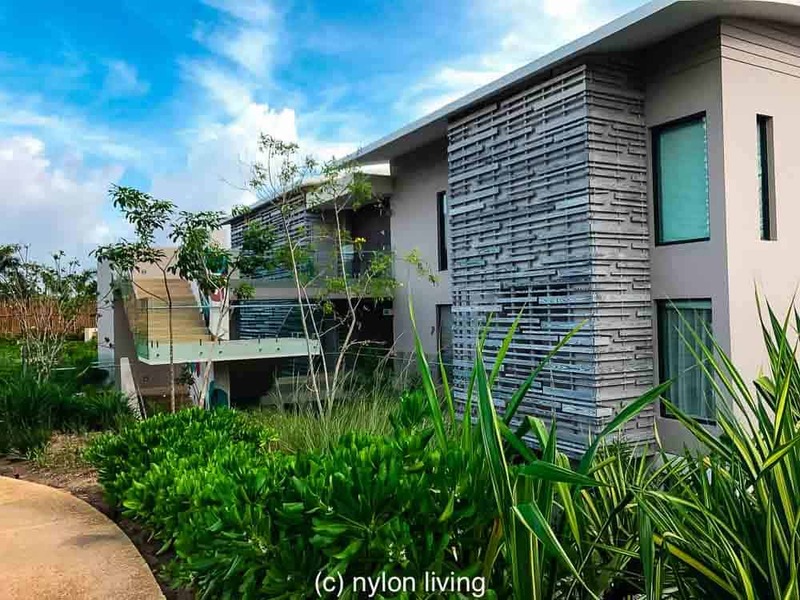 Check out what TripAdvisor reviewers say about the Hotel Hyatt Andaz Mayakoba Resort! 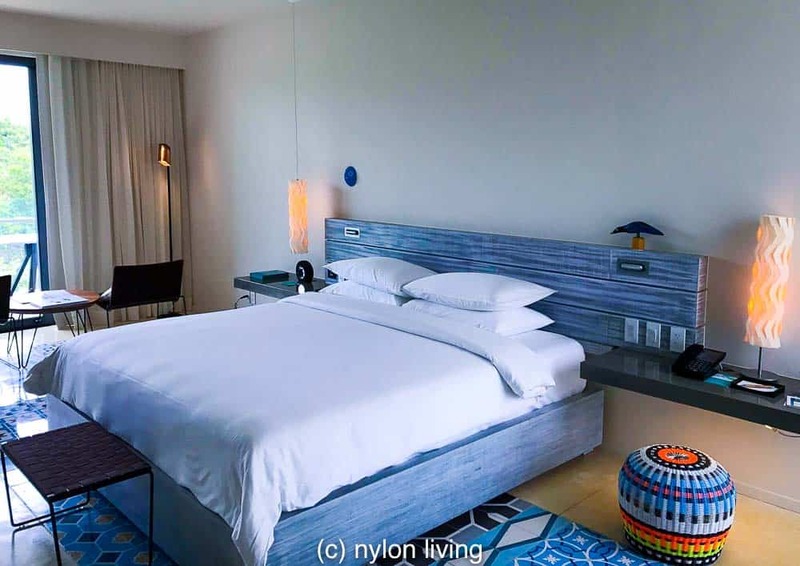 Like the look of the Hotel Hyatt Andaz Mayakoba Resort? Spread the Word! Pin this to your Pinterest Boards for future reference!